Dove of Peace is renovating and expanding its Muller organ. The rebuilt and refurbished instrument will be introduced to the public at a dedication recital on Sunday, May 5, 2019, at 3:00 p.m., featuring Guy Whatley. Whatley’s program will explore the new colors of the instrument through a wide-ranging program from Bach to Messiaen, and a new work by Gerald Near for choir and organ will be premiered. A champagne reception will follow the concert. 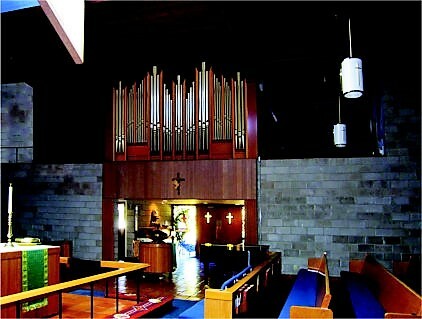 The project is being executed by Grahame Davis and Pipe Organ Artisans of Arizona.